The fifth International Media Architecture Biennale (MAB16) took place at The Concourse in Chatswood, Sydney. It featured a conference, workshops and exhibitions that explored the integration of digital media and architecture. MAB16 specifically focused on the role of digital media and technologies for placemaking – to strengthen the connections between people and the places they share. The event brought together architects, designers, artists, academia, councils, and industry to discuss the opportunities of media architecture for placemaking and smart city futures. The conference is a unique professional development and networking opportunity to learn about media architecture and digital placemaking and to meet like-minded people and industry. The conference will included international keynote speakers from leading architects, designers, artists and academics. The workshops provided opportunities to learn from experts about specific topics. The highlight of the event was the gala dinner and the Media Architecture Award ceremony, in which we presented outstanding media architecture projects. 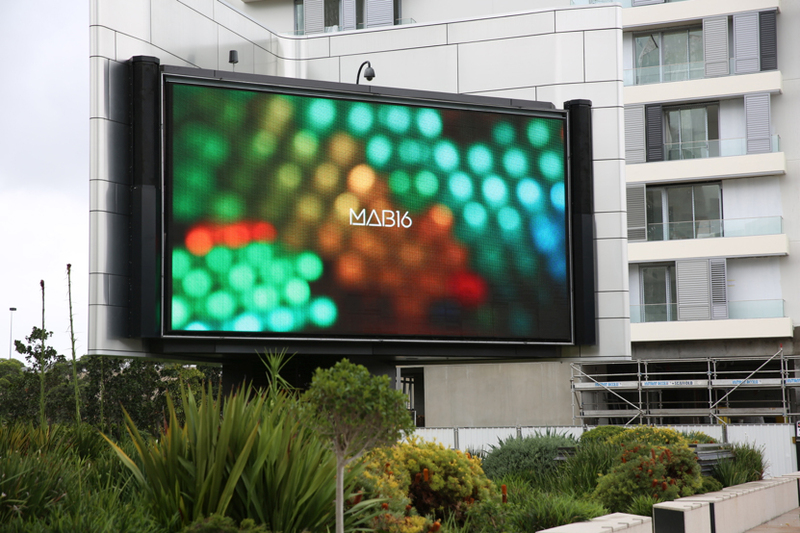 MAB16 was held in collaboration with Vivid Sydney. The conference and workshops were promoted as part of the Vivid Ideas program and the exhibition was linked with Vivid Light.